When Robert Mueller was appointed last May as Special Counsel to investigate Trump, Politico Magazine gushed that “Mueller might just be America’s straightest arrow — a respected, nonpartisan and fiercely apolitical public servant whose only lifetime motivation has been the search for justice.” Most of the subsequent press coverage has shown nary a doubt about Mueller’s purity. But, during his 11 years as director of the Federal Bureau of Investigation, Mueller’s agency routinely violated federal law and the Bill of Rights. Mueller took over the FBI one week before the 9/11 attacks and he was worse than clueless after 9/11. On Sept. 14, 2011, Mueller declared, “The fact that there were a number of individuals that happened to have received training at flight schools here is news, quite obviously. If we had understood that to be the case, we would have — perhaps one could have averted this.” Three days later, Mueller announced: “There were no warning signs that I’m aware of that would indicate this type of operation in the country.” His protestations helped the Bush administration railroad the Patriot Act through Congress, vastly expanding the FBI’s prerogatives to vacuum up Americans’ personal information. But the FBI was off and running. Thanks to the Patriot act, the FBI increased by a hundredfold — up to 50,000 a year — the number of National Security Letters (NSLs) it issued to citizens, business, and nonprofit organizations, and recipients were prohibited from disclosing that their data had been raided. NSLs entitle the FBI to seize records that reveal “where a person makes and spends money, with whom he lives and lived before, how much he gambles, what he buys online, what he pawns and borrows, where he travels, how he invests, what he searches for and reads on the Web, and who telephones or e-mails him at home and at work,” the Washington Post noted. The FBI can lasso thousands of people’s records with a single NSL — regardless of the Fourth Amendment’s prohibition of unreasonable warrantless searches. The FBI greatly understated the number of NSLs it was issuing and denied that abuses had occurred, thereby helping sway Congress to renew the Patriot Act in 2006. The following year, an Inspector General report revealed that FBI agents may have recklessly issued thousands of illegal NSLs. Shortly after that report was released, federal judge Victor Marrero denounced the NSL process as “the legislative equivalent of breaking and entering, with an ominous free pass to the hijacking of constitutional values." Rather than arresting FBI agents who broke the law, Mueller created a new FBI Office of Integrity and Compliance. 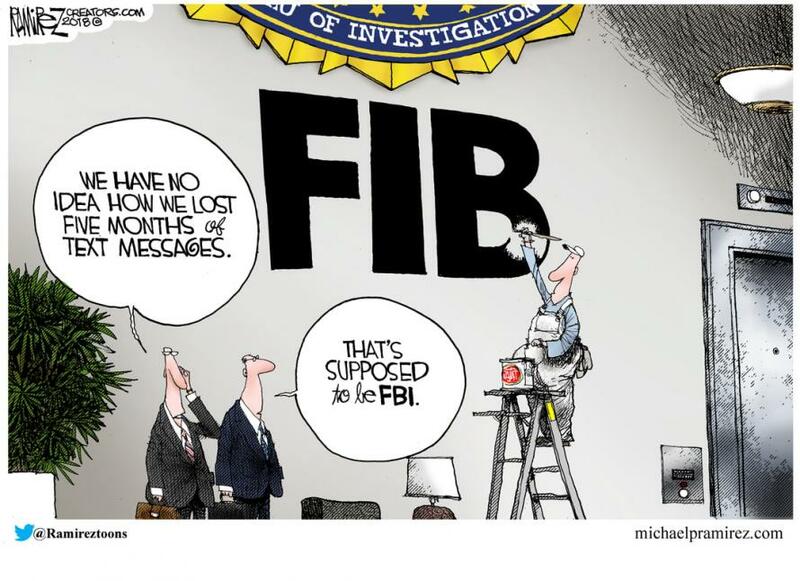 The Electronic Freedom Foundation, after winning lawsuits to garner FBI reports to a federal oversight board, concluded that the FBI may have committed “tens of thousands” of violations of federal law, regulations, or Executive Orders between 2001 and 2008. Mueller was a front-and-center Bush cabinet member when the president, scorning a unanimous 1972 Supreme Court ruling, decided he was entitled to impose warrantless wiretaps on Americans. At an April 2005 Senate hearing, Sen. Barbara Mikulski (D-Md.) asked Mueller: “Can the National Security Agency, the great electronic snooper, spy on the American people?" Mueller replied: "I would say generally, they are not allowed to spy or to gather information on American citizens." Mueller presumably knew his answer was at least misleading if not blatantly deceptive. Nearly nine months later, the New York Times revealed that Bush had unleashed NSA to illegally wiretap up to 500 people within the U.S. at any given time and peruse millions of other Americans’ emails. Attorney General Alberto Gonzales responded to the uproar by asserting that “the president has the inherent authority” to order such wiretaps. Mueller had no trouble with that dictatorial doctrine - even though the same claim spurred one of the articles of impeachment crafted against President Nixon. Mueller’s biggest coup against privacy occurred with Section 215 of the Patriot Act, which entitles the FBI to demand “business records” that are “relevant” to a terrorism or espionage investigation. In 2011 testimony to the Senate Intelligence Committee, Mueller “suggested the FBI interpreted (Section 215) narrowly and used it sparingly,” the ACLU noted. But Mueller was the point man for the Bush administration’s bizarre 2006 decision (perpetuated by Obama) that all Americans’ telephone records were “relevant” to terrorism investigations. Several times a year, Mueller signed orders to the Foreign Intelligence Surveillance Court, swaying it to continually renew its order compelling telephone companies to deliver all their calling records (including time, duration, and location of calls) to the National Security Agency. Mueller sought to dampen the Snowden uproar by testifying to Congress that the feds could not listen to Americans’ calls without a warrant for that “particular phone and that particular individual.” But NSA employees had broad discretion to vacuum up Americans’ info without warrants, and NSA's definition of terrorist suspect was so ludicrously broad that it includes "someone searching the web for suspicious stuff." If Mueller’s team finds clear evidence that Trump colluded with Russia in his 2016 presidential campaign, any abuses Mueller sanctioned as FBI director will be irrelevant. 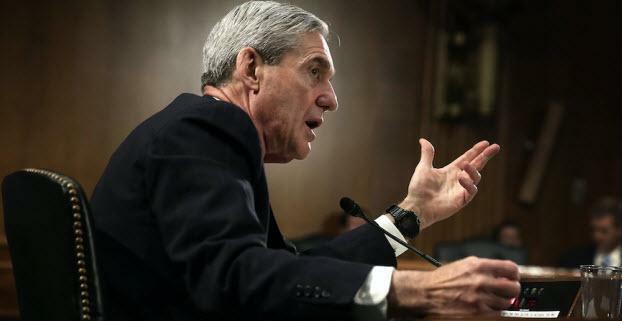 But if Mueller’s case relies on his halo instead of smoking guns, then Americans should pay more heed to Mueller’s record than to his press clips. Gravitas is no substitute for fidelity to the Constitution.